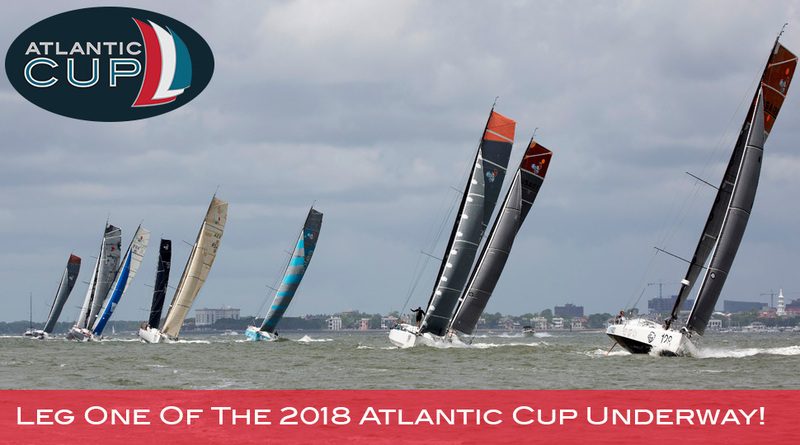 Leg One Of The 2018 Atlantic Cup Underway! 11 Atlantic Cup Teams are NYC Bound! 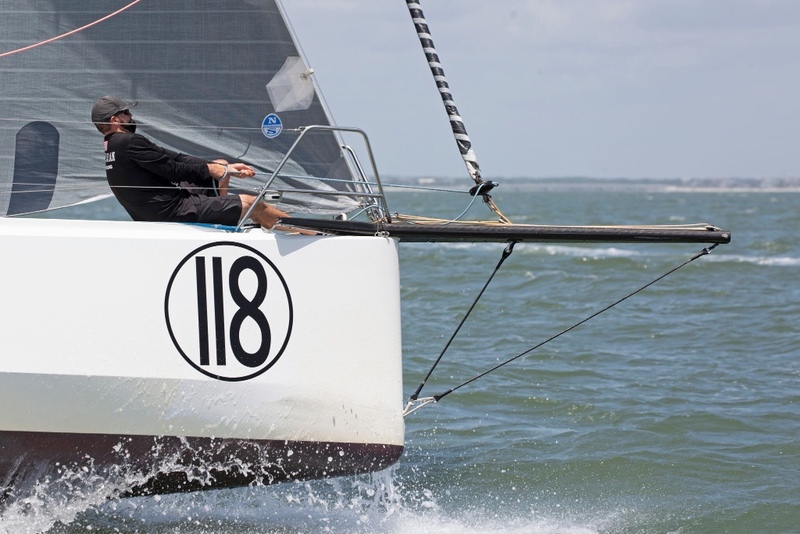 11 teams representing the nine countries started the 2018 Atlantic Cup at 12:00 ET today in sunny skies and a southwesterly 15 knot breeze from the Charleston Maritime Center. The start cannon was fired off the Spirit of South Carolina with over 200 spectators looking on. Toothface 2 won the start which was a beat to the first and only turning mark of the course. From the mark, it turned into a broad reach where Toothface 2 continued their lead. Coming out of the jetties teams bore away, changed into their Code 0s ready to blast reach towards the Gulf Stream. The next 12 hours will be full of fast, powered up sailing, before the Atlantic Cup competitors decide when to change into their downwind sails and make the run to Cape Hatteras . The major tactical decision is how much easting to put in to get to the Gulf Stream versus turning north and putting up the spinnaker and heading more directly towards Cape Hatteras. 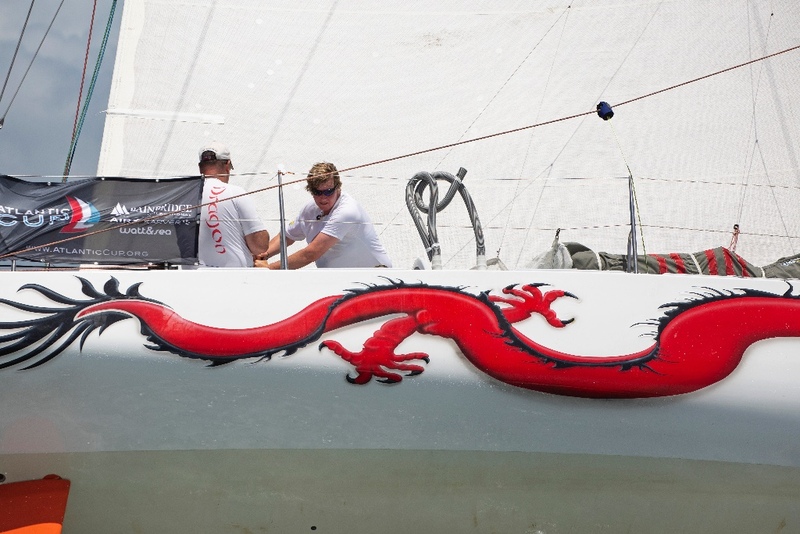 In the next 12-hours there are three options for the teams; those closest to the rhumb line led by the oldest boat in the fleet, First Light, are hedging that it’s not worth the distance to go directly to the Gulf Stream given that there’s plenty of wind where they are. 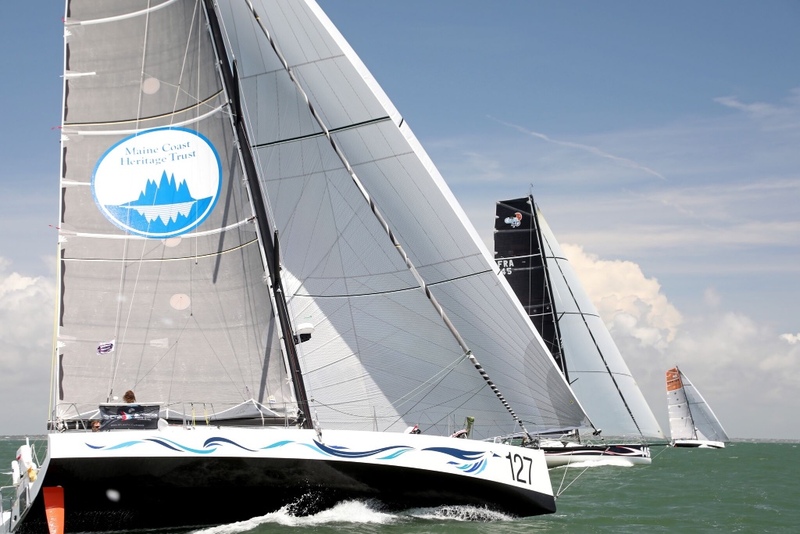 There’s a group in the middle that doesn’t want to commit and there’s a group going further east to the gulf stream led by the newest boat in the fleet, Eärendil. Over the next 24 hours, the wind is going to stay fairly stable in the mid-teens east of the rhumb line, it’s lighter to the west and continues to get lighter the further to the east teams go. 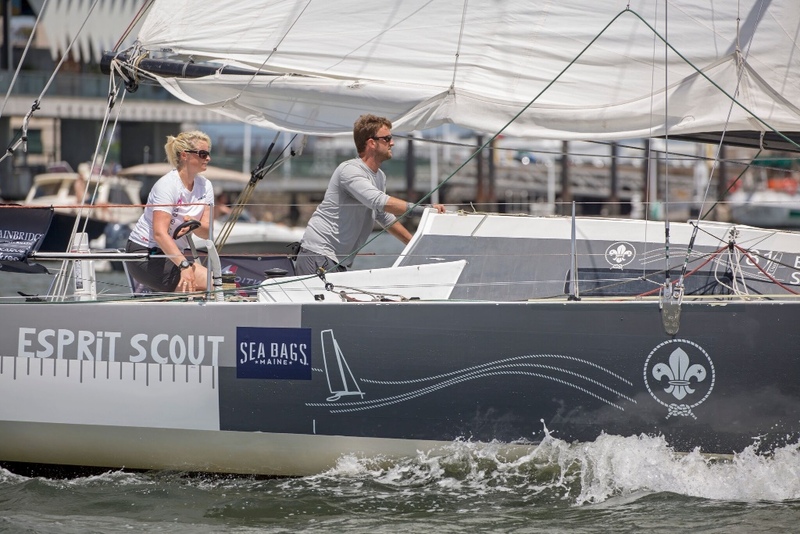 The winds will build south of the fleet and try to move north, but it likely it won’t catch up with the teams before they reach Cape Hatteras. For the teams moving east to the Gulf Stream, they are likely to see currents in excess of three knots in their favor once they get there. The decision on how quickly to enter the Gulf Stream will be made over the next few hours between the two crew members as they asses their position, their speed and analyze the wind forecast. 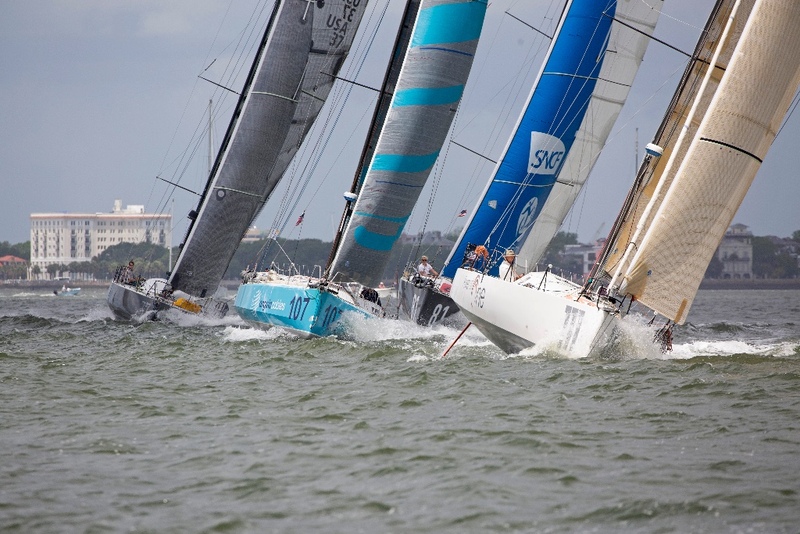 We had over 200 people out at the Charleston Maritime Center today to see the action on the Atlantic Cup start line. If you couldn’t make it out, check out the photos from the day here. The start gun went off today at 12pm! 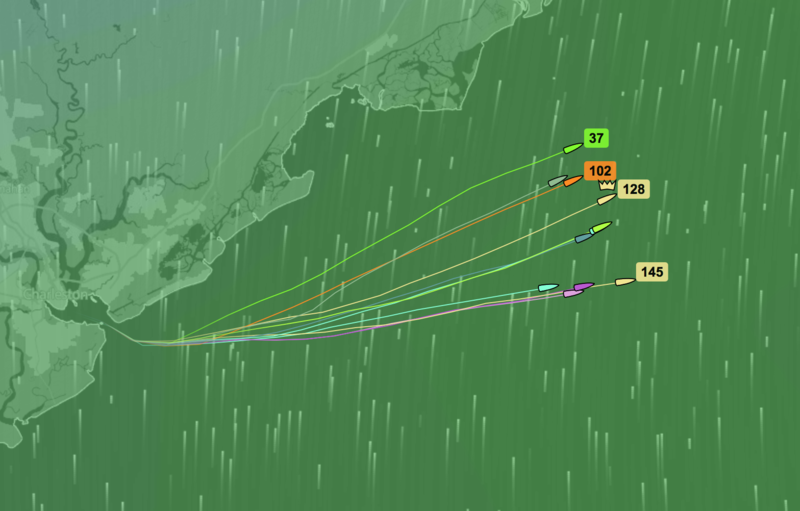 You can track the boats online as they race to New York! Head to the Race Tracking page on the website and follow the teams in real time thanks to the Yellow Brick online tracker. #AtCup – Be sure to follow us on all of our social channels for the most up to date information on the race and from the teams.